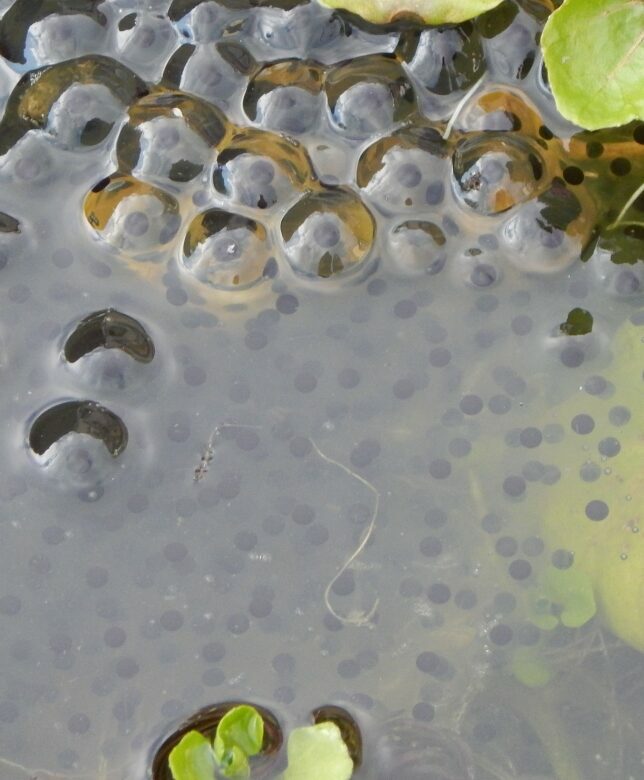 ﻿ Frog spawn is filling our little wildlife pond and i'm so happy! Ant made me the pond last year because I’ve always wanted a wildlife pond for frogs. We started it in the spring last year and I’ve been eagerly awaiting spring this year after having quite a few frogs in the pond last summer. I was getting jealous seeing lots of other people on a wildlife gardening Facebook group showing pictures of their spawn and they told me I just needed to be patient. I came home this afternoon after being at Slimming World this morning then a birthday lunch at a friend’s house, to find Ant had sent me a photo in an email. I can’t wait to see all the tadpoles. Ella was as excited as I was and we’re going to be checking on the spawn daily! Weekly weigh in – Another Gain – Took It On The Chin!